Paint Me A Rainbow: New beginnings! I need a new beginning, a fresh start. A new blog, too, for that matter. 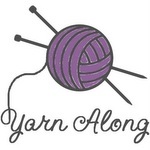 This blog is going to be devoted to knitting, and, hopefully, cooking. Welcome! So, back to our sheep knitting. I am seriously thinking about designing my own patterns, if not on a highly professional level, then offering them for free, but I have to get creative, or, sooner, I have to let that volcano erupting in my head get finally out into the open. If I think about it, I was designing when I was 15. Really. I was knitting a lot back then, as I couldn't find sweaters that I liked and that would fit me or my wallet. So I just did them myself. I looked through the magazines, found the stitch I liked, created a shape in my head, knit a small swatch, calculated the gauge and later I had a sweater! My creations are surely documented somewhere, buried safely in the family archive... That's the same my Mom did, and my Grandma... We were designing patterns! So, if I could do it when I was 15, why can't I do it now, when I am older and weighed down by various experience? The desire was fueled by necessity. I have tiny feet. Everyone says that. My friends say that. I know it myself. The usual sock patterns can be knit by me, no doubt, but not as socks, or at least not for me. As a cowl, perhaps? There was already someone out there with a brilliant idea to turn the Monkey socks by Cookie A into cowl (hey, why someone else always gets the best ideas?). Of course, I can sit quietly in my corner and jknit my socks with whatever stitches I can find to squeeze into the 56 stitches I have to CO to get around my feet. but I am a teacher, too, you know. I like to teach. I like to share with people. I like to spare them the pain of figuring it out all by themselves if the knowledge is already there. I want to share my patterns. After discussing the issue with the fellow Ravelrers (Ravelers?) I came to the conclusion that we, small-footed people, may be overpowered by the Big Foots (sorry, guys!) but we do exist. And we need socks. For our dainty, tiny, freezing feet!!! !